Hans D. Krieger Fine Jewellery composes the finest coloured gemstones and diamonds, gold and platinum into classic-contemporary jewellery. This long-established company specialises in rare natural-coloured diamonds in warm shades. 300 years of experience in cutting diamonds and gemstones is the basis of this family-owned manufactory. Its high-end diamond jewellery perfects this tradition. The Vainard brand stands for extravagant re-interpretations of Art Deco: white gold, white diamonds and futuristic black acrylic glass form contrasting and elegant geometric creations. The unique pieces and very small series from Hans D. Krieger are real complete works of art: all pieces of jewellery are entirely designed and produced in-house. Diamonds sparkle in unobtrusive, warm golden tones, as do rare fancy diamonds in yellow or brown, or any other colour imaginable. 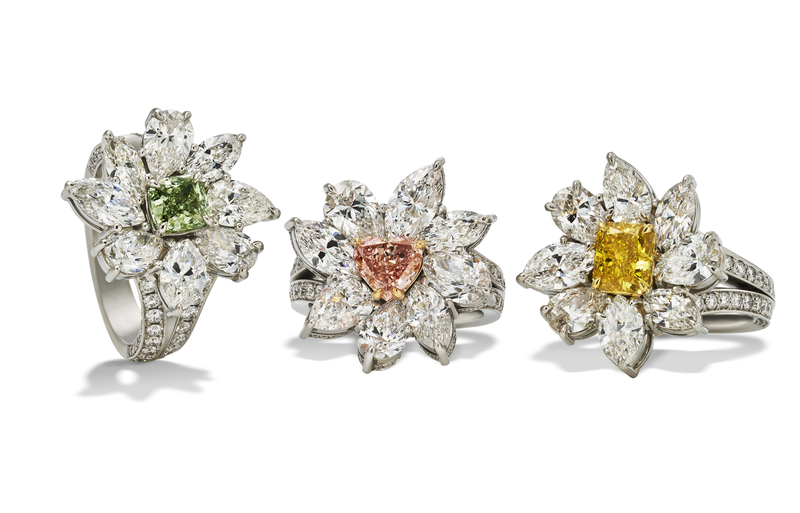 We're proud to have introduced natural-coloured diamonds to the market and given these jewels the reputation they deserve. Together, they long for extravagance, modern forms, cuts and designs. Creating invaluable jewellery. Diamonds and red precious gems – the most enchanting combination! Diamonds are forever. And red is the colour of love. Rubies and spinels, the most beautiful red gems, are escorted by diamonds: for rings, earrings and pendants. For adorable gifts of love. Finest designs combined with white diamonds and natural gemstone.